weather | An Experience of Nature. This nature reserve is located along the slopes of the Langeberg mountain range near the town of Heidelberg in the Western Cape, South Africa. See CapeNature for more info. See coordinates. After a full year of medical school, a friend and I decided it was about time for an epic adventure! This was our December summer holiday of 2018. Booking was necessary and hassle-free. The price for the basic shelters at Helderfontein was R60 per person with and additional R40 conservation fee per person per day. Day one was started with great enthusiasm despite knowing that we were going to face some rainy weather. The trail led us through patches of burnt fynbos creating an unique contrast between the charred earth and the green sprouts of grass, ferns and restios arising from the ashes. The unique Fire Lilies stood out scarlet red from the black earth – what a sight they were! 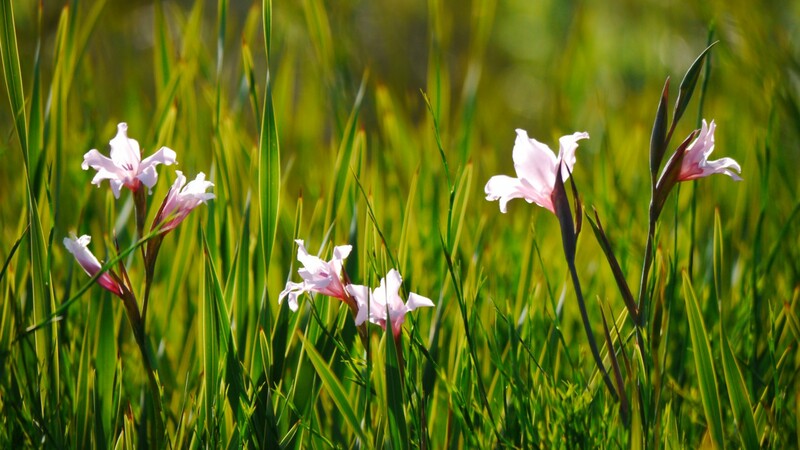 These are lilies known to only bloom about two weeks after a summer wildfire. Other fynbos plants we could recognize among the vast diversity were the King Protea and Pink Disa. The higher we climbed, the worse the weather got in terms of wind and rain but not of enjoyment! Because we couldn’t see the surrounding landscape, we it was hard to guess our location on the map accurately – we just kept following the trail into the never-ending white abyss. With great relief and 16km later, we saw the two shelters revealing themselves through the white. The huts, called Helderstroom Huts, were basic (as we were informed) but all we needed – four walls, a roof and a dry floor. We picked the one with the least amount of animal nests and odor. We prepared ham and mushroom pasta on our stove with coffee. While enjoying our food, a mouse revealed itself from the floorboards – causing a brief surge on unnecessary adrenaline! Except for a bat making a brief visit to our shelter, the long, cold night on the hard floor went by uneventful. Somewhere on the misty mountain. The next day welcomed us with a soft drizzle of rain and a chilly breeze entering through the open door and window. We forced our stiff muscles and aching joints into motion so we could pack up and set out. The hardest thing to do was to put our warm, dry feet into the cold, wet boots! We decided to return via the same 16km on which we came as the Duiwenhoks River on day 2’s trail is liable to flooding and hikers are advised to avoid the crossing during rainy weather. So with aching bodies, saturated boots and a long road ahead, we set out in a comfortable silence. The road back, being familiar trail and downhill but not shorter or less rainy, passed by quicker that we thought. Before we knew we were among the patches of burnt fynbos with the Fire Lilies again. The Boosmansbos Wilderness 2 Day Trail was an epic experience of nature’s extreme conditions and pristine beauty! A trail well worth hiking, whatever the weather.